Gabby Cisneros and her Mother make beautifully handcrafted tutus for all ages, which are perfect for just about any occasion---photo sessions, birthday parties, dance recitals, tea parties or just to simply play dress up. They start out at $35.00 and go up depending on the length of it. All products are crafted out of their home in Little Elm and their inspiration comes from Gabby's own two spirited little girls. 100% of their profits are invested into sustainable anti-poverty programs, like the Chiapas Project and the Grameen Foundation, which enable women to become trained, educated and eventually self-sufficient. Before they touch a single cent of our profit, it MUST spend a year in good service. So rather than just give a hand out, they are giving woman a hand up - and an opportunity to change their circumstances. Gabby says, "While our girls play dress up at home, a woman in another part of the world is given the opportunity to provide for her own children. 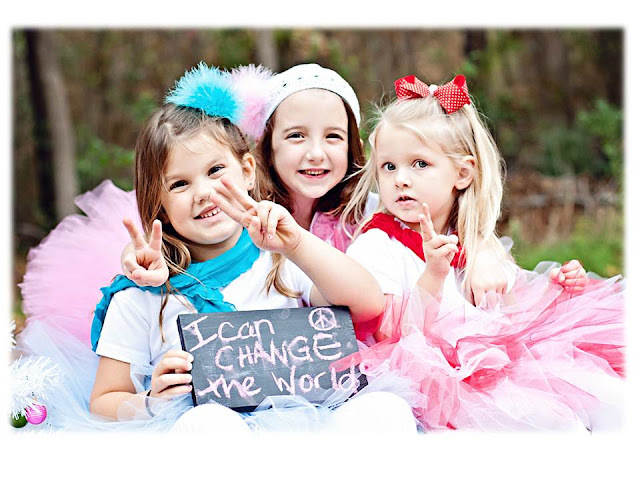 Our tutus come with a certificate for the little girl who is being gifted where we acknowledge their amazing contribution and recognize them for helping us change the world." I LOVE THIS CONCEPT!!! Fairy Princess Gift Box Set which sells for $65.00. She will be the sweetest Fairy Princess in this beautiful Tutu Set. The Gift Box Set includes a 10” Paris Pink tutu, a beautifully beaded tiara, a princess wand as well as a set of fairy wings. Your princess will have everything she needs to create memories and tutu the moment. Oh-So-Chic Tutu Set which also comes in a Tutu That* Gift Box and sells for $55.00. There is nothing better than wearing the proper attire to tea time and our Oh-So-Chic Gift Set is sure to make your princess the star of the event. This lovely tutu set comes in our Tutu That* Gift Box and it includes a 10" tutu with a coordinating jeweled bow--your choice of color and cut (regular or pixie styled). To top it off, a trendy handmade cap adorned with a very fashionable flower clip.